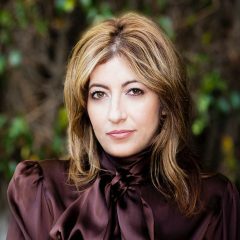 Allison Margolin is a founding partner of the law firm Margolin & Lawrence and specializes in cannabis licensing and law. With more than 15 years in the cannabis space, she was one of the first lawyers to focus on cannabis. A graduate of Harvard Law School and Columbia University, Allison combines credentials and experience with a lifelong passion for cannabis policy reform. She’s appeared in numerous publications, including the LA Times, LA Weekly, and The New Yorker. Erin Williams is a writer and Harvard graduate living in Los Angeles. She has worked for NY1 News and The Harvard Crimson, but hates the cold. Allison and Erin are currently working on a book that (they hope) will help end the drug war. Leafly welcomes op-ed contributions from industry and political leaders on a range of topics related to cannabis. What do Seattle, San Francisco, and Los Angeles have in common? They are all major cities on the West Coast, and they all have among the most severe housing shortages in the nation. 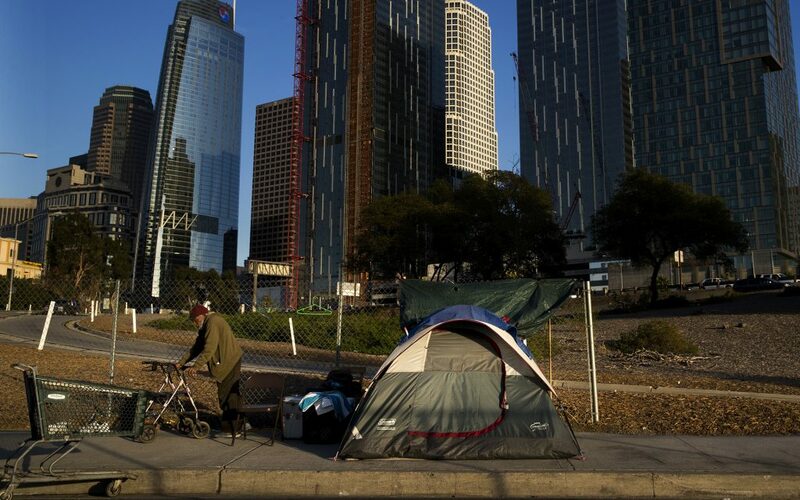 In fact, the rapidly growing homeless population in cities like LA is responsible for the first national increase in homelessness in nearly a decade. The reasons for the swell in homelessness on the West Coast are simple—increased rent and a lack of affordable housing. 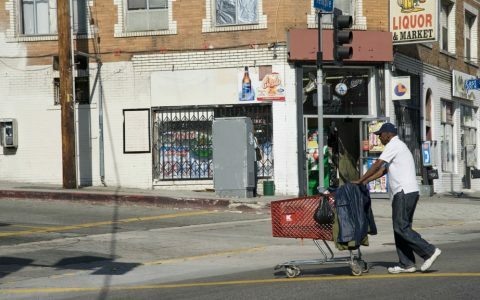 In Los Angeles, city officials are currently implementing measures to assuage the rising population of homeless people, but a recent report known as the Housing Gaps Analysis showed that even with these efforts, the growth of homelessness is outpacing the most ambitious efforts to solve the problem. At this rate, the city could still fall $270 million short of addressing the issue. Why not add a qualification that encourages Tier 3 applicants to construct temporary or permanent homeless shelters? What else do Seattle, San Francisco, and Los Angeles have in common? They are all cities with blossoming adult-use marijuana industries, meaning millions in tax revenues for their states. California Gov. 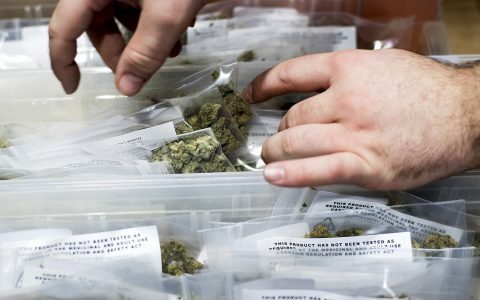 Jerry Brown said he expects the first year of legalization to bring $643 million in tax revenue to the Golden State. 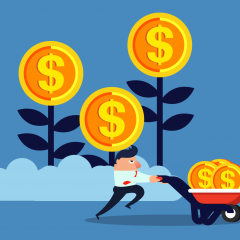 At this crossroads, as West Coast cities are seeing an increase in affluence and homelessness, here is a radical idea: Let’s provide incentives for entrepreneurs in cannabis to build the shelters themselves. Actually, this idea is not so new. 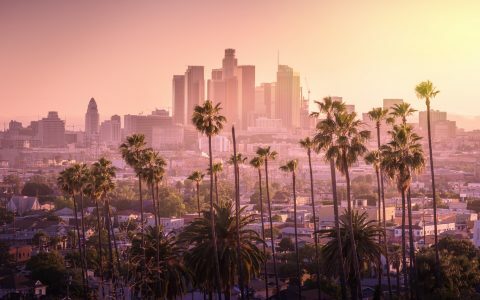 The summer before Proposition 64 passed, Los Angeles, desperate for ways to fund its homeless initiatives, considered the idea of using the tax revenue from the legal cannabis industry. It was the nature of the beast, the regulations still under development, and the complications therein that prevented that idea from moving forward. Realistically, it will take several years before the tax revenue from legal pot in California is substantial enough to answer the needs of the homeless. Those estimates, of course, assume the homeless population plateaus in the next few years. That seems less than likely. Another option besides using tax revenue is to incorporate efforts towards solving the homeless crisis into the regulations for the cannabis industry. Let’s use Los Angeles as an example. 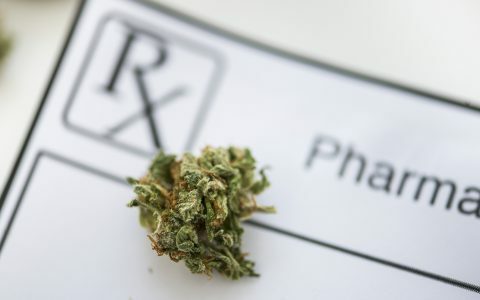 In early March, the city approved an additional 21 employees for the previously understaffed Department of Cannabis Regulation (DCR). The DCR is in the process of developing and implementing a social equity program, which will give priority to victims of the war on drugs when it comes to licensing their businesses. 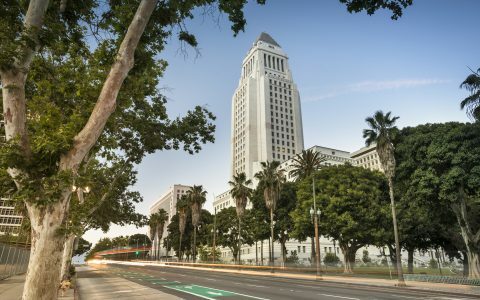 Under Los Angeles’ social equity program, retail and non-retail businesses can apply for priority licensing status if they qualify for one of three tiers. Tier 1 applicants must be low-income, have marijuana convictions, and live in areas disproportionately impacted by the drug war. Tier 2 applicants must be low-income and live in vulnerable areas, but they do not need a marijuana conviction in order to qualify. The third tier in the program provides an opportunity to make a difference, because DCR employees are in the midst of developing the rules for those applicants. Currently, Tier 3 applicants qualify by providing benefits such as licensing assistance, business advice, and investment access to applicants in Tiers 1 and 2. So, why not add a qualification that encourages Tier 3 applicants to construct temporary or permanent homeless shelters? Construction could start immediately if the City Council passed an emergency resolution allowing Tier 3 applicants to qualify for the social equity program by contributing resources like construction and electrical work to the city’s homeless initiative. Providing Tier 3 applicants in Los Angeles with incentives to build shelters is one solution to this problem, but much more work and money will be needed to address the rise in homelessness. There is no reason why the marijuana industry cannot play a more significant role in addressing this crisis. After all, there is a certain poetic justice to connecting the two issues. Under federal law, public housing authorities can deny housing to people with felony convictions, including marijuana-related charges. What does this mean? Take San Francisco, where more than half of its homeless have no place to sleep at night. 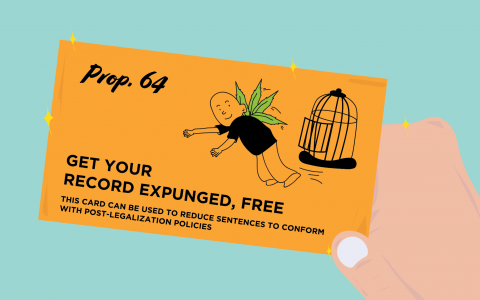 In February, San Francisco made the commendable decision to dismiss or reduce all marijuana convictions dating back to 1975. 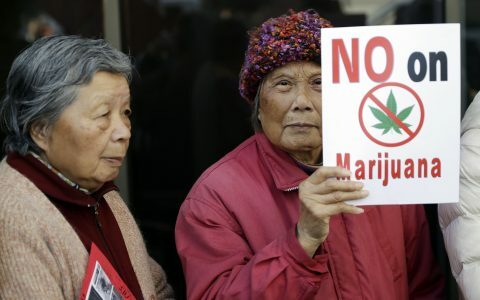 That means as many as 5,000 marijuana-related cases in San Francisco could be eliminated or reduced to misdemeanors. However, that also means that hundreds or thousands of individuals would have been barred from public housing until quite recently. At the center of the homeless crisis is a question of humanity: What does it mean when the richest cities in the nation have the highest rates of homelessness? Homeless populations have been viewed with the same derision as drug users and dealers. Johann Hari, author of Chasing the Scream: The First and Last Days of the War on Drugs, wrote that “the opposite of addiction isn’t sobriety, it’s connection.” Isolation is a common complaint between homeless people and drug addicts, which is all the more reason to unite these two issues. Cities like Los Angeles, San Francisco, and Seattle need to go a step further. In addition to providing temporary and permanent shelters, more efforts need to be made to provide childcare, medical treatment, food, mental health services, and overall support. And certainly, those in the cannabis industry are inventive enough to develop more affordable housing options in their cities. It is time to reconcile the fact that increased affluence will lead to increased rates of homelessness if steps are not taken to prevent it. 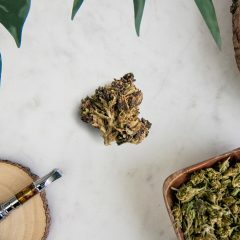 Legal cannabis isn’t the only reason why major West Coast cities are becoming more expensive—and therefore, more unaffordable to vulnerable people—but it is an important factor. By encouraging entrepreneurs in the cannabis industry to provide housing and services, we can reduce the stigma around marijuana and homelessness. And, in a few more years, these cities can start using the tax revenue from their successful pot industries to foot more of the bill. A founding partner of the law firm Margolin & Lawrence (www.margolinlawrence.com), Allison Margolin is a leading attorney in cannabis licensing and law. With more than 15 years in the cannabis space, she was one of the first lawyers to specialize in cannabis. A graduate of Harvard Law School and Columbia University, Allison combines credentials and experience with a lifelong passion for cannabis policy reform. She's appeared in numerous publications, including the LA Times, LA Weekly, and The New Yorker. I’m Homeless in Orlando, FL, and it’s Impossible to get any ‘Real HELP’ with HOUSING FIRST. 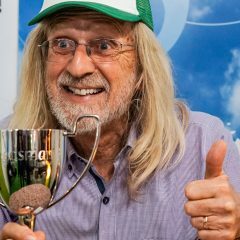 I’ve been Homeless, going on 2 years. I have a Part Time Job with 7-11, and stay in a Homeless Shelter, where I’m FORCED to Listen to Fundamentalist, Literal Interpretation of the Bible ‘Every Night’, when I’m a Yogi and have my ‘own’ PERSONAL ‘FAITH’, that is Larger than ‘theirs’, but allows for theirs, even though ‘theirs’ doesn’t ‘allow’ for mine. It’s ‘torment’. I’m sick of it. I’d REALLY ‘LOVE’ to get TRAINED as a ‘CANNABIS PROFESSIONAL’, BUD TENDER and more, and have a Decent Job and a Place to Live. Orlando, perpetuates Homelessness, as it provides ‘Cheap Labor’ for Construction Industry and others. I am confused didn’t California set-up revenue allocation for the homeless? Many of the Dispensaries here in Trinidad give part of their proceeds to charities that help the homeless and animal shelters and are still raking in the dough.This is on top of the revenue allocated for homeless and low-income programs, so yes it can and is being done.